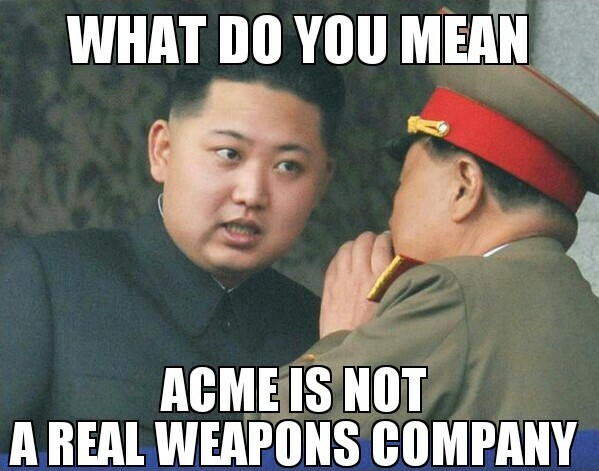 What do you mean Acme is not a real weapons company. Image of Kim Jong Un talking to one of his generals. Personally I say we take a drone and blow something he likes up right in front of his fat face and give him a little wake up call.